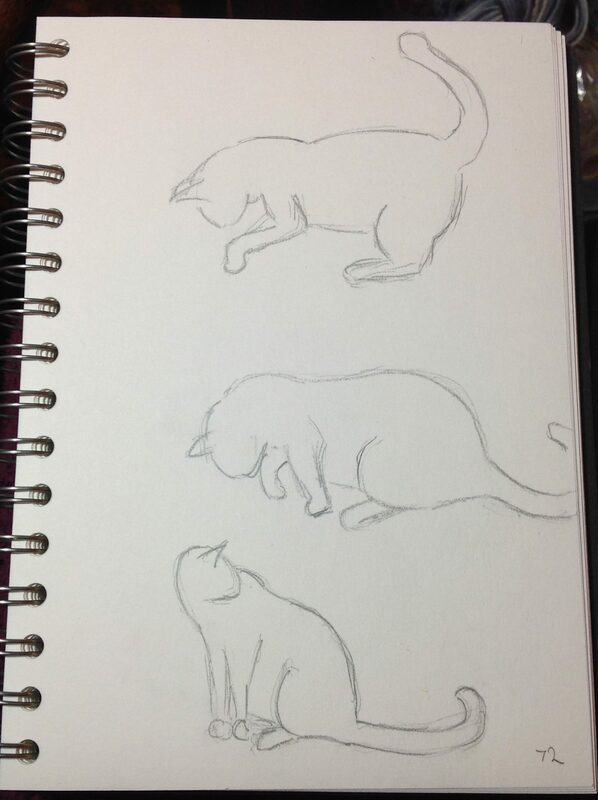 Grabbity hung around just long enough this evening for three quick sketches. I’m starting to realise, though, that these very quick sketches are doable, but I honestly don’t know what to do next… I know I need to get better at filling in the details, but I’m not quite sure how. The patterns in the fur are hard to do quickly, and this is supposed to only take me 15 mins a day!